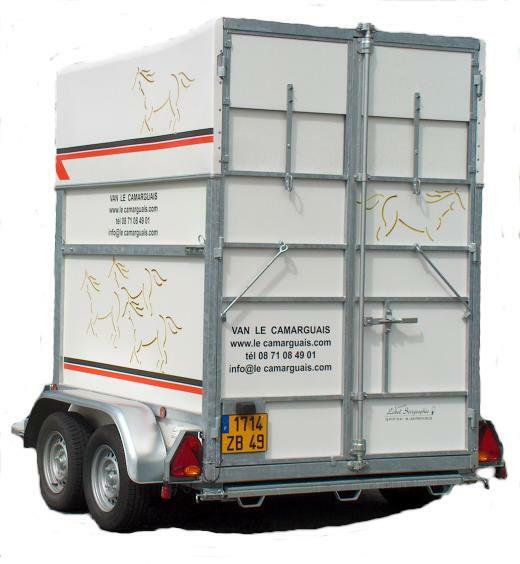 Horse van with space for one and a half Reference " Le Texas"
*The PTAC (F.2) of the van " Camarguais " can be modified between 1 600 kg and 2 000 kg according to PTRA'S (F.3) of the vehicle used. 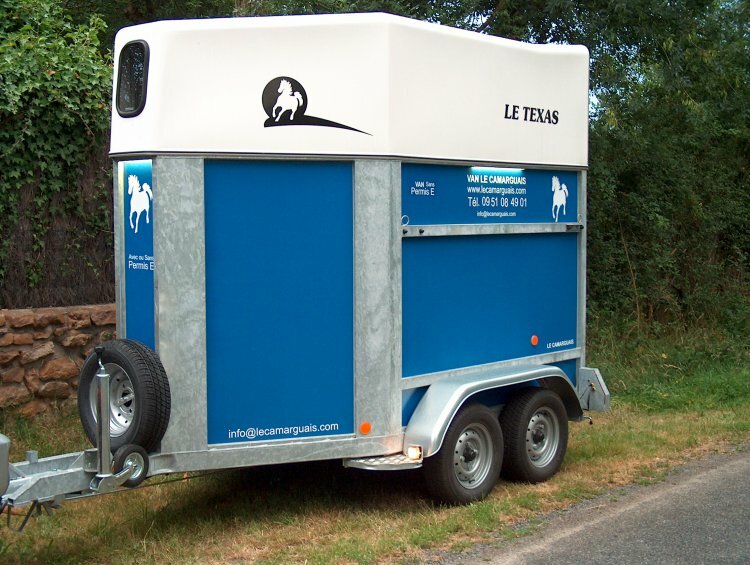 * The PTAC (F.2) of the van " Texas " can be modified between 1 300 kg and 1 500 kg according to PTRA'S (F.3) of the vehicle used. (F.2 car + F.2 tows)exceed 3 500 kg. Moreover, it is not necessary that the sum of the PTAC (F.2) of the two vehicles (F.2 car + F.2 tows) exceedsthe PTRA (F.3) of the towing vehicle. If not, allowed C obligatory. If you hold an old licence EB, this one remains valid ( medical examination ). 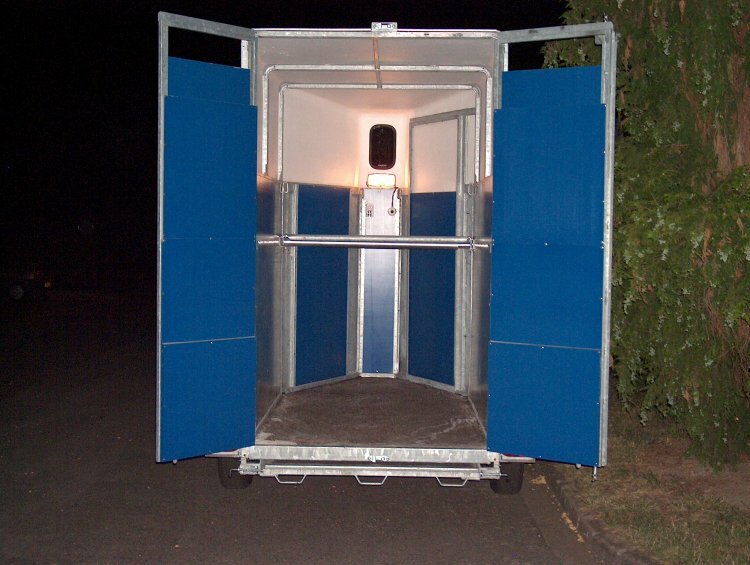 In addition, only the trailers whose PTAC (F.2) exceeds 500 kgand the caravans are seen allotting an automobile license and a specific serial number. 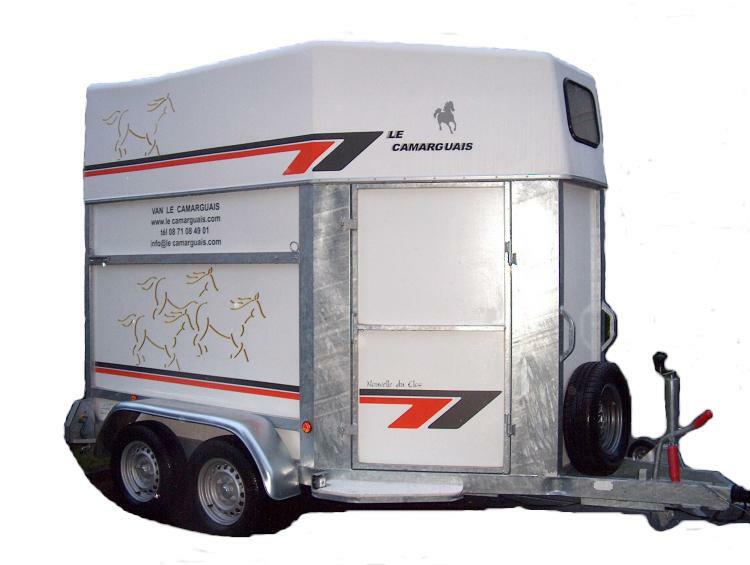 © Le Camarguais "Tous droits réservés" Tel : +33.241684279.